With the new year, I hear everyone talking about how this is the year and all the resolutions they have honestly make me feel exhausted. Don’t take me wrong, I love them! They inspire me. They make me want to do better and grow. But also, I can’t even manage to go to the bathroom alone, so the thought of being a world changer quickly starts to feel like an unattainable dream, that only works for those who don’t have kids. Right? Now is the moment when you have to decide, do you keep doing what you’ve been doing? Or do you change your future and achieve your dreams by putting in the work? It’s not enough to be a dreamer, though that’s a wonderful thing to be! We have to become doers and go chase our dreams! I know that’s easier said than done but if others can do it, we can do it too. Here are 4 simple steps that you can take to go from dreamer to doer. We waste a lot of time here and there through the day. Why not use that time wisely and invest it in our own lives? If you are going to be on your phone, talk to people that encourage you and inspire you to be the best that you can be. If you are in the bathroom, find some good reads! Instead of taking the “what kind of Cheeto are you” quiz online. Put your phone down and grab some books that can help motivate you! I’m the flaming hot spicy Cheeto by the way. Here is one of my favorites! 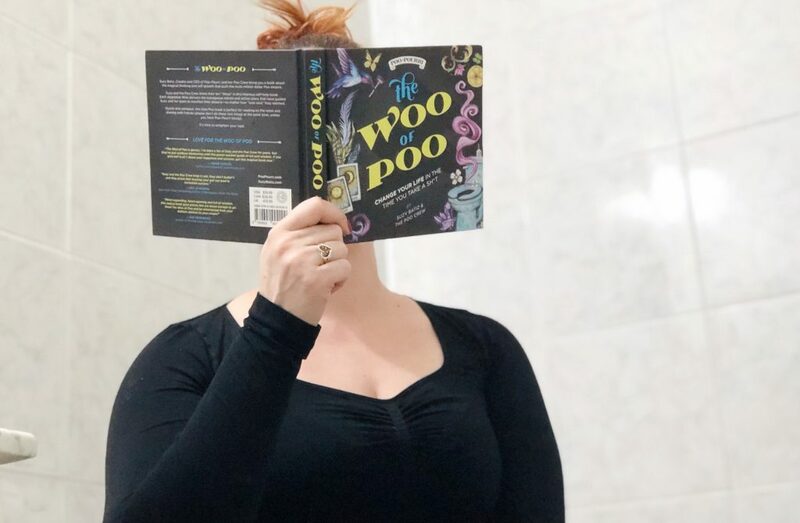 The WOO of POO: Change Your Life In the Time You Take a Sh*t by Suzy Batiz, the CEO, and creator of one of my favorite products; Poo~Pourri Before-You-Go® Toilet Spray. In 10 years she created a multi-million dollar poo empire because she put her mind to it, she put in the work and she didn’t give up! Each chapter is an easy read that gives great insight and advice from her and her team’s own experience on taking your woo-woos and turning them into the dreams that actually come true. Basically, this book is the most hilarious and truthful self-help book I’ve read in a while, if not ever. It’s packed with practical things that you can start doing today. We put so much extra stress on ourselves by being way too harsh and not taking care of ourselves. This is a very sad truth that I’ve seen in my own life and in the lives of many women I dearly love. In The WOO of POO: Change Your Life In The Time You Take A Sh*t you will find a series of practical tips and exercises that will help you let go of all that negativity and start using all that precious energy on doing things that will help bring joy and fulfillment. 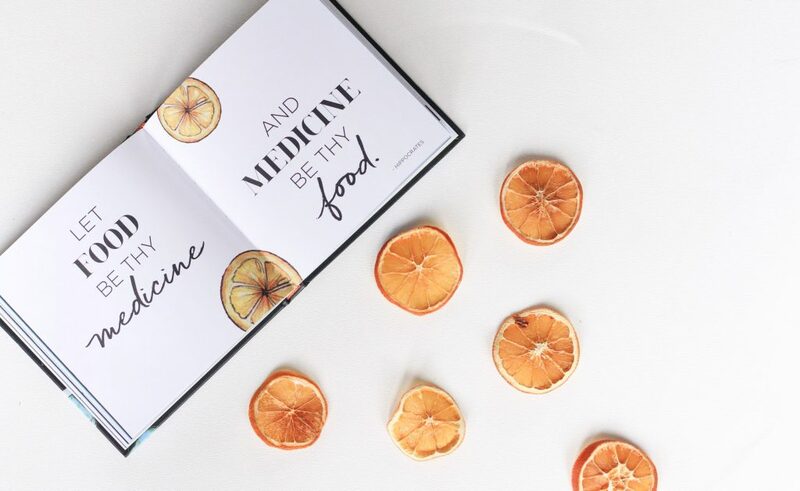 The book also talks about what we put in our bodies to fuel them which is a huge thing I need to work on. I easily just starve my body and eat whatever is left in the boys’ plates so that I can have more time to do things. I want to vow to myself that I will think of what I eat and let my food really nourish my mind and body like it should. I always have these crazy dreams but I am realizing that they usually stay just dreams. I wondered what I could do to change it. Here is where the woo #10 comes into play. In order to do Epic things, you need to have a plan! Organization isn’t my strength so making 10-year goals just doesn’t work! not even one-year goals! So for me, I started with making daily goals, I still struggle some days but I am working to build a habit and be at a point where my daily goals are just part of life. For my business, I am starting to write down 90 days goals. That might be ambitious but a little ambition goes a long way. So I am writing down my goals and then putting my heart and soul into making them happen. Would you do the same? There is nothing I would love more than to hear your stories of success! Find what works for you, weekly goals, daily goals, monthly goals. Whatever it takes. Sometimes the world seems to always be doing better than we are, sometimes the world seems to be such an ugly place, sometimes it seems that there aren’t very many great opportunities for us women. But take courage! It can be done! and it has been done some many times. You don’t need to want to change the entire world to be amazing, you can just change one person’s world for the better and you will have made a difference. What you do matters, how you love matters, Your dreams matter, and what you do about it will always matter! first to you and then to those around you. Also please stop thinking that everyone else has their act together while you don’t. We are all just trying to make it! The key is in having the courage and not giving up! So let’s go babes! Grab this fun book on Amazon and start your journey to change your life! A little at the time, always getting back up, taking good care of yourself, and most importantly getting things done! 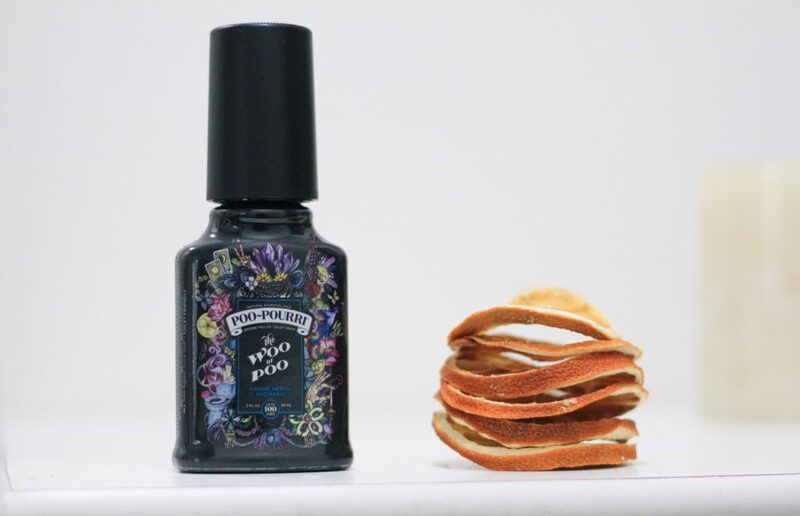 If you haven’t tried poo~Pourri The Before-You-Go® Toilet Spray you are missing out big time! I posted about it on my Instagram a while back and you can check it out here. What it is: a wonderful mix of pure essential oils. When spritzed into the toilet bowl before you go number 2, it creates a film on the surface of the water that acts as a protective barrier! 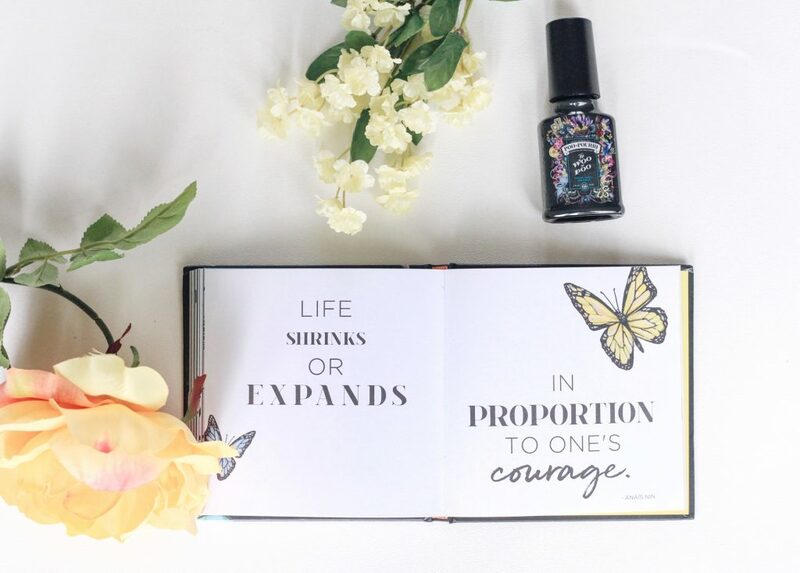 It traps the odors under the surface of the water and all you will smell is a refreshing bouquet of essential oils while you enjoy your inspirational read. Win-win. The WOO of POO Before-You-Go® Toilet spray is the newest scent and one of my favorites! It smells of ginger and goodness. Give it a try! order it together with your book here. or you can click on the image below to order too! Love this! I will definitely be reading in my “poo” time lol! I love the ideas you laid out about making life happen this year! Refreshing to see a different perspective of how to accomplish what you want! I love your blog design and your pictures! They looked so beautiful. I’ve never tried Poo-pouri before (never had to since I’m a lonely loser who lives alone), but will get one for guests. 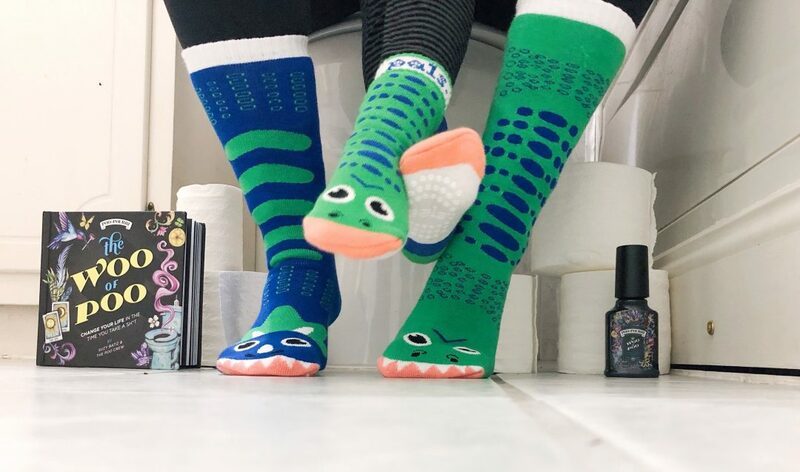 P/S: Love your matching socks too!